All the five villages adopted by Banaras Hindu University under Unnat Bharat Abhiyan has already become Open Defecation Free(ODF) so far with the support of district administration. On December 16th 2017, 16-member team led by Prof. T. P. Chaturvedi, Convenor – Unnat Bharat Abhiyaan( BHU), visited Madhopur (Balipur) village of Kashi Vidhya Peeth block, Varanasi. On this occasion, important information about the health problems and their management were provided to the villagers. Medicines were given to 500 villagers for treatment of many general diseases in the village. Apart from this, kitchen garden seeds of Bhindi, Lobia, Gourd, Nannua and Kumbhara were distributed to the villagers. Educations about organic farming were given. Statuses of previous plantation done by UBA were checked. 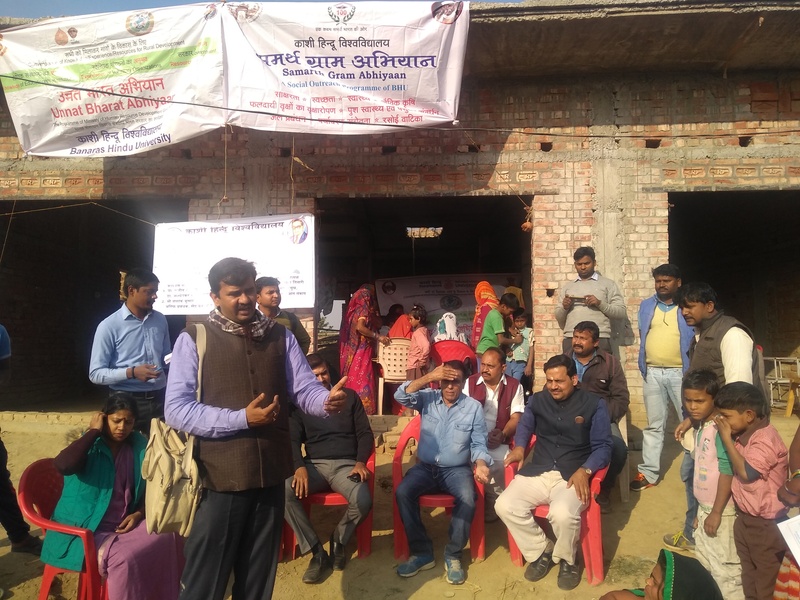 Digital literacy and Digital banking procedures with members of State Bank of India, BHU branch were taught and demonstrated to the villagers. 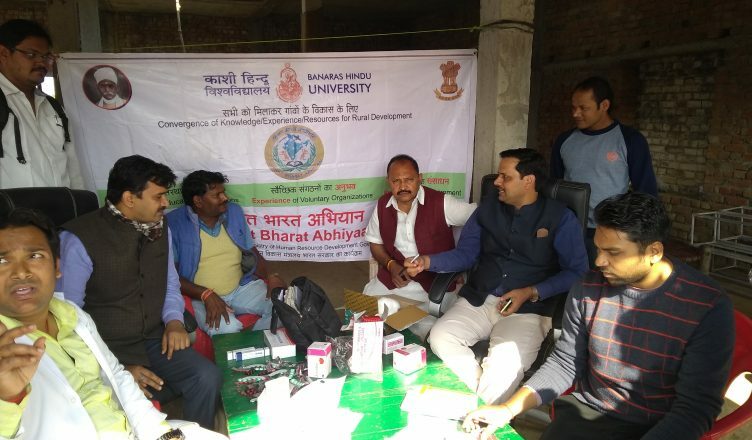 BHU team educating villagers regarding health problems and their management.